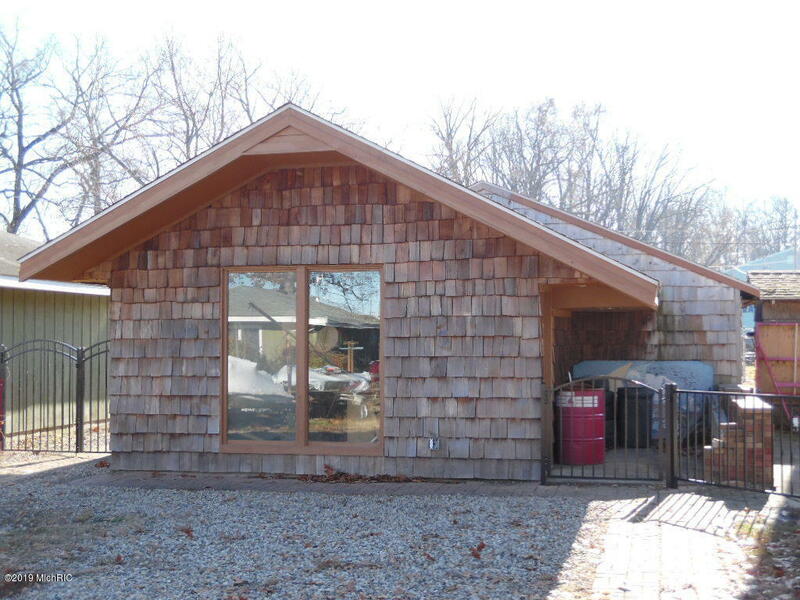 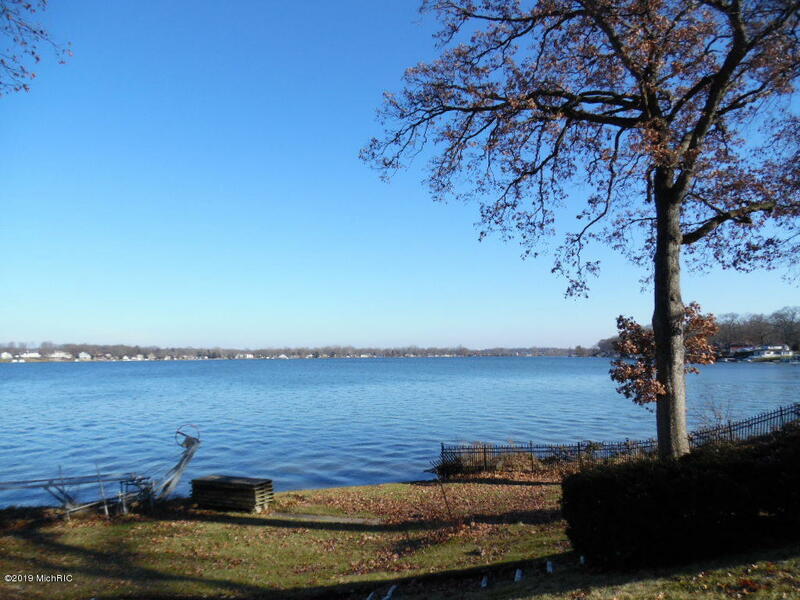 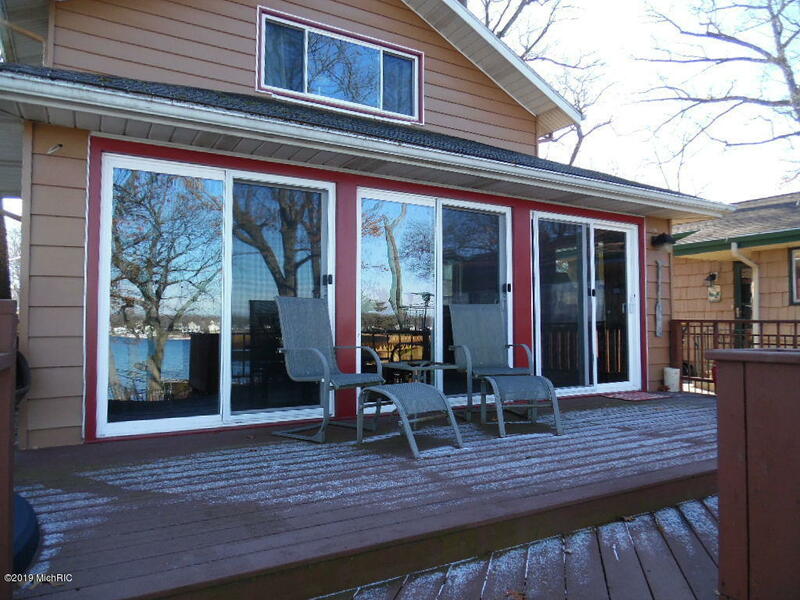 Welcome to this Eagle Lakefront home.1800+ sq ft 1 1/2 story home with a lot to offer. 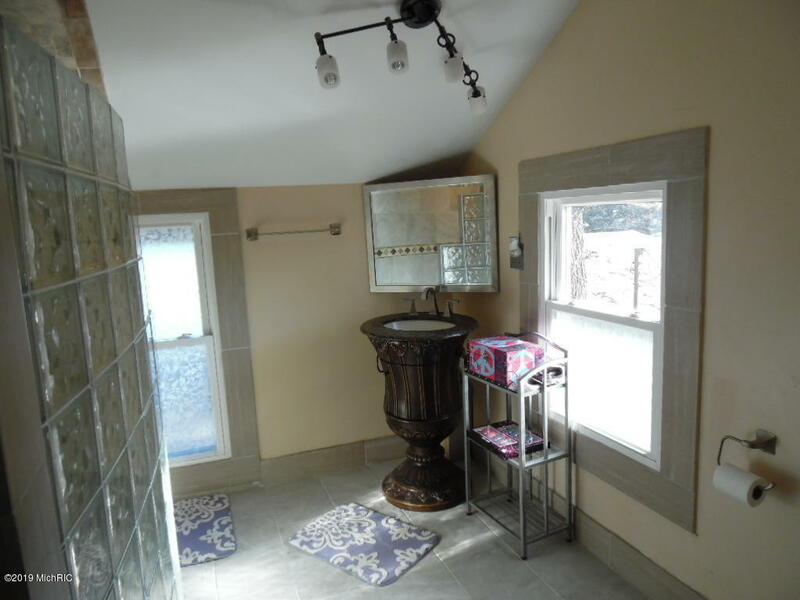 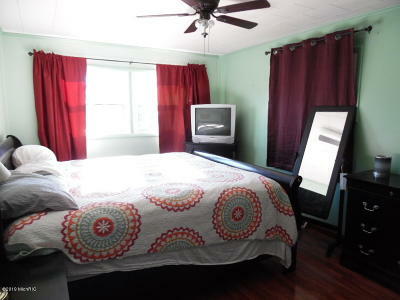 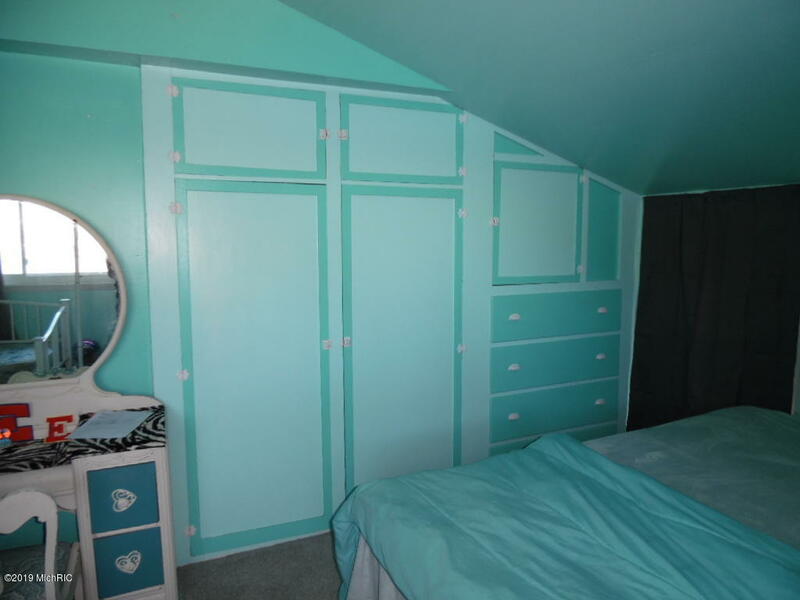 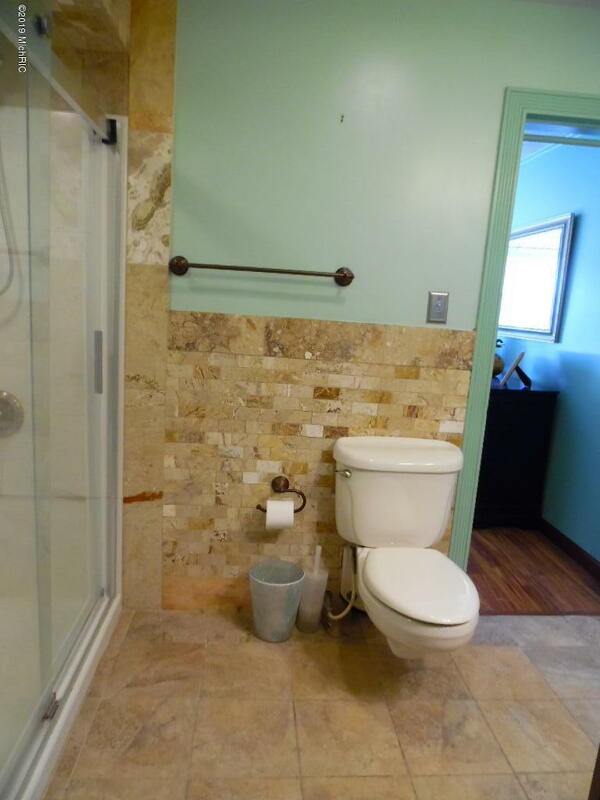 Master bedroom and updated master bath are on the main level. 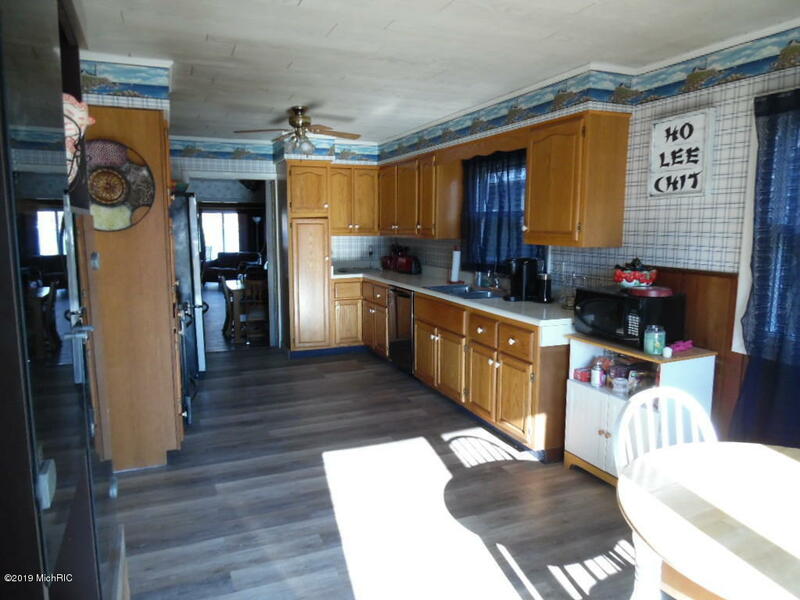 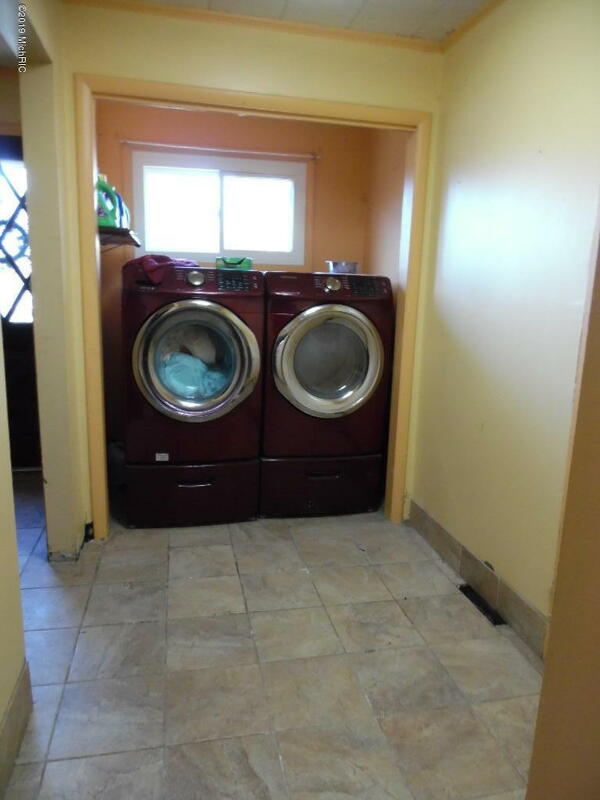 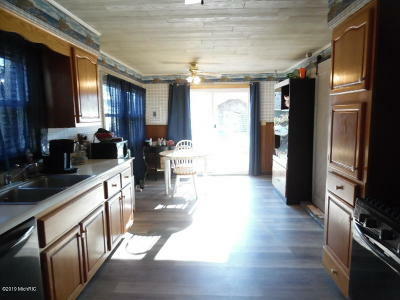 The large kitchen has a great flow and has all newer appliances. 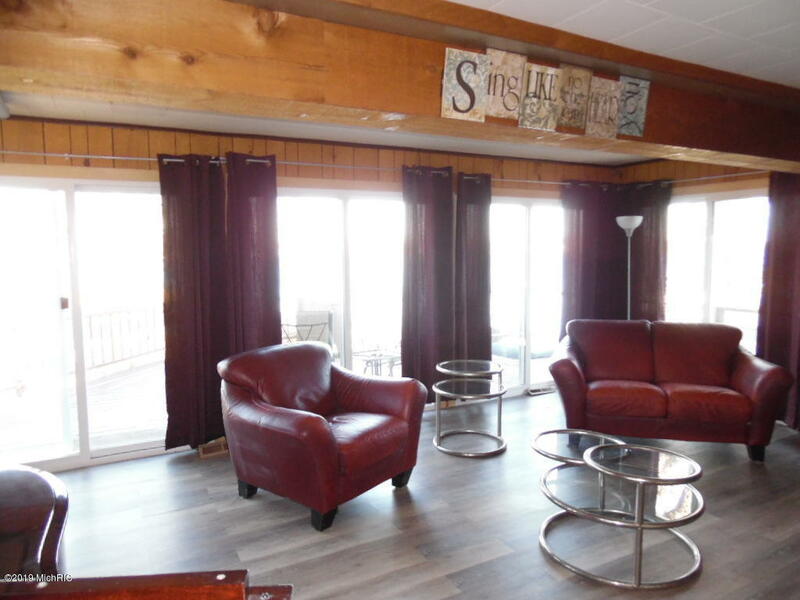 The lakeside living room opens your world to the beautiful views of the lake, many windows for full enjoyment, fireplace and entrance to the lakeside deck. 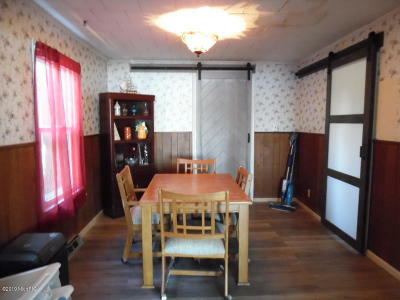 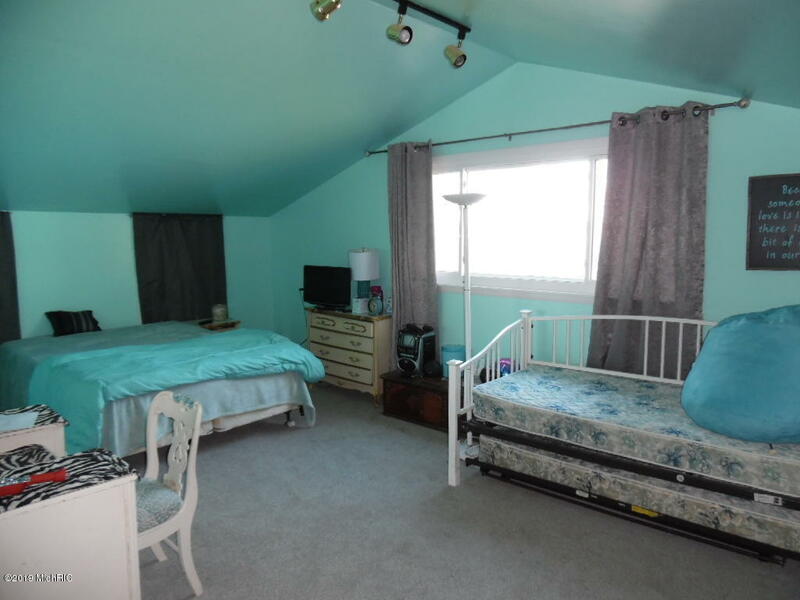 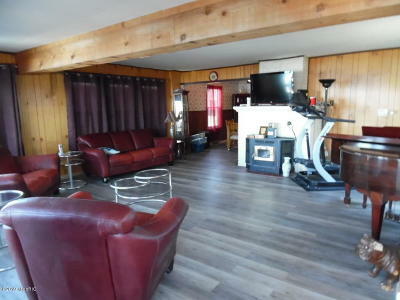 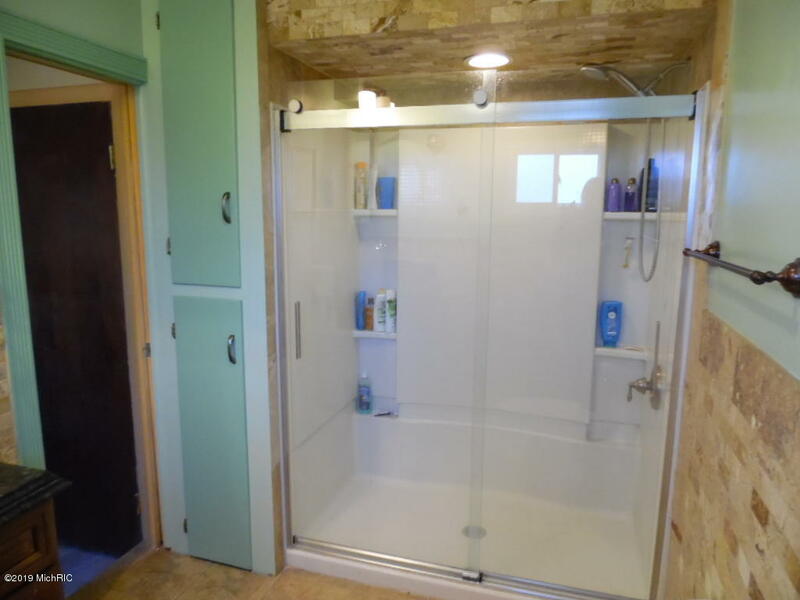 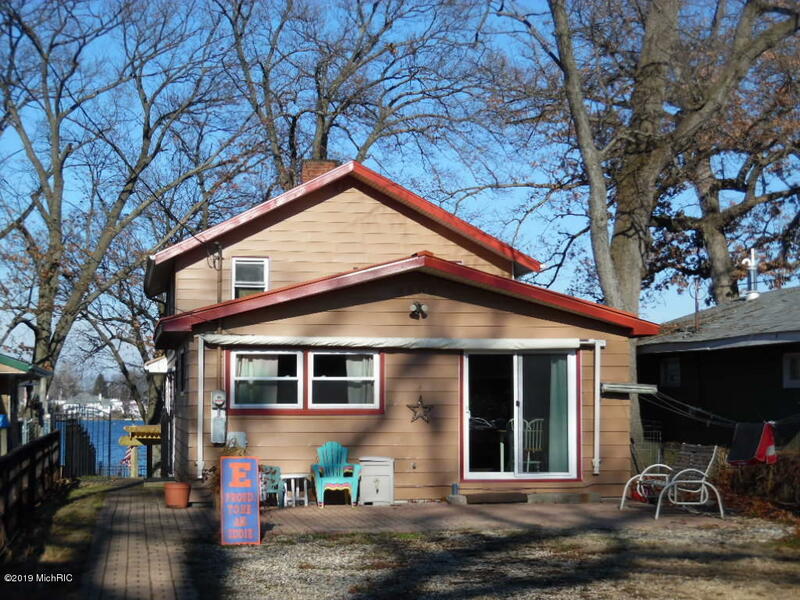 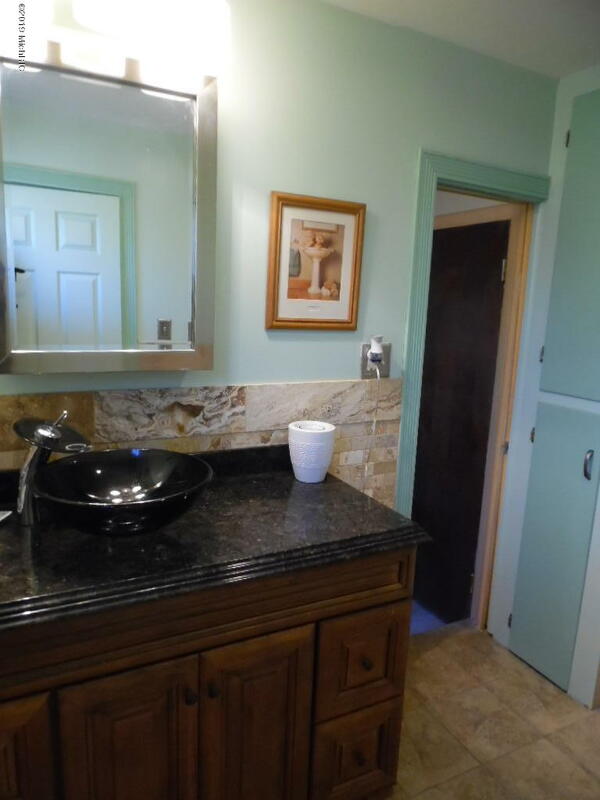 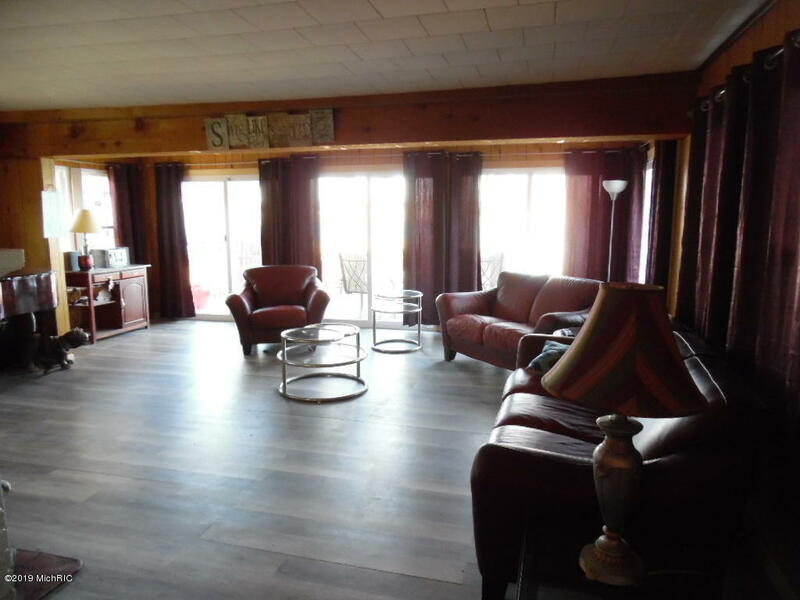 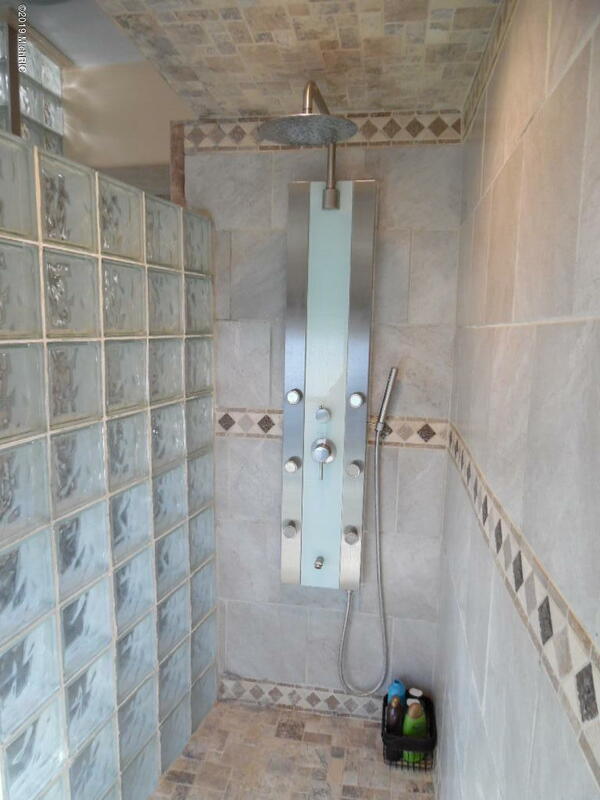 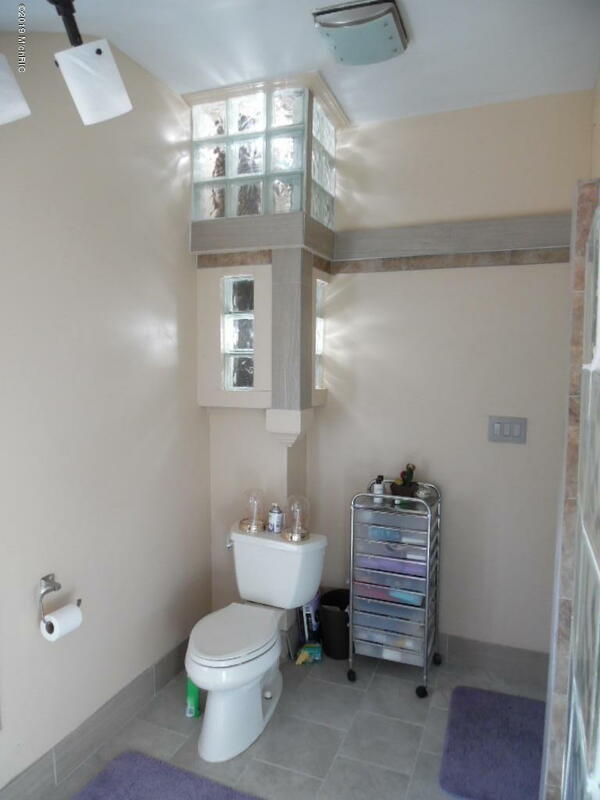 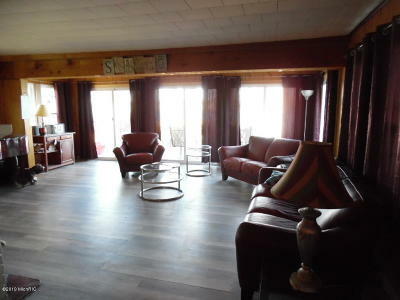 Upper level has a lakeside bedroom with built in drawers for more storage, a 2nd bedroom and a nicely updated bathroom witha walk in tiled shower. 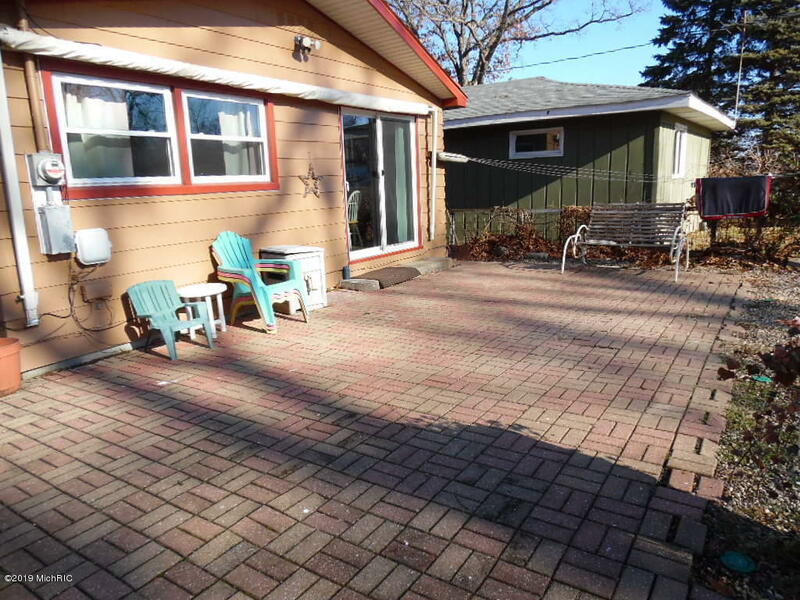 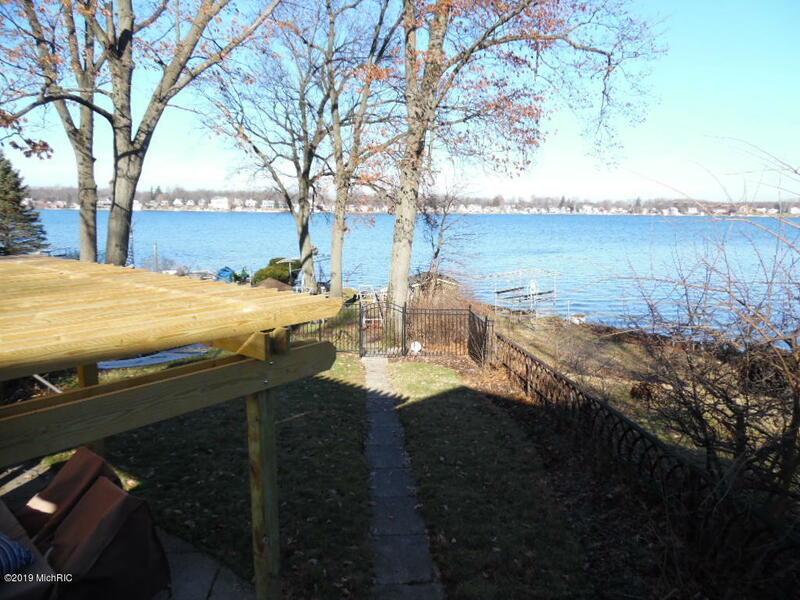 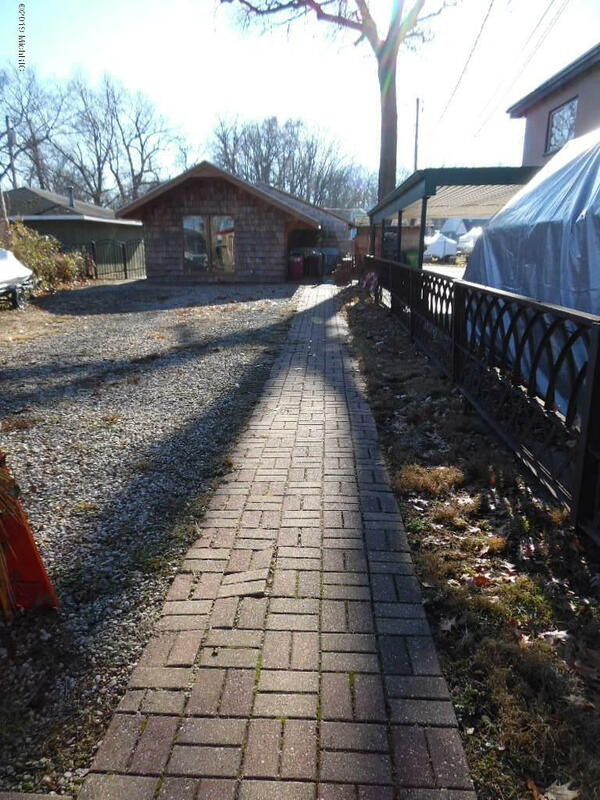 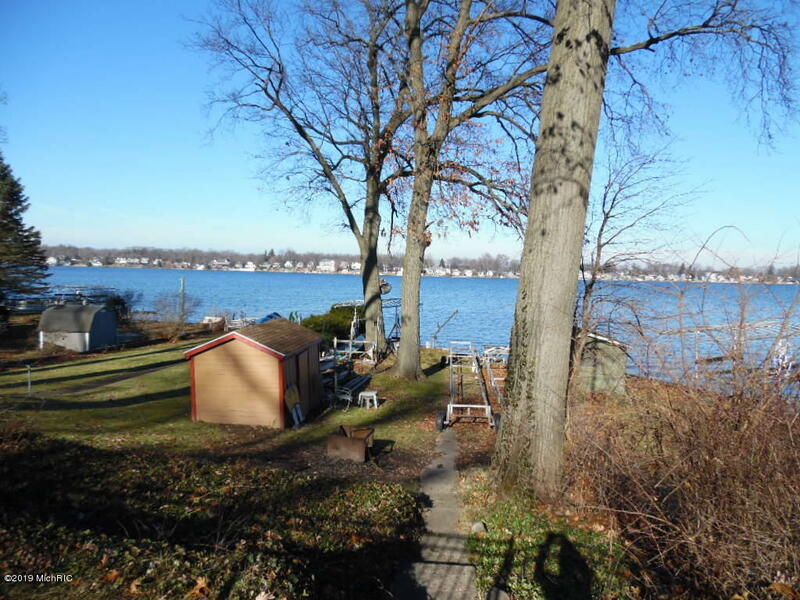 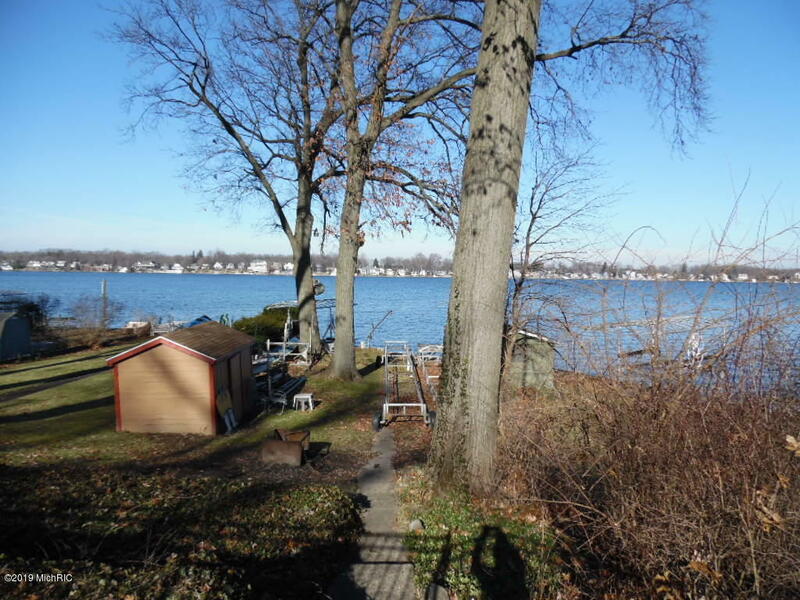 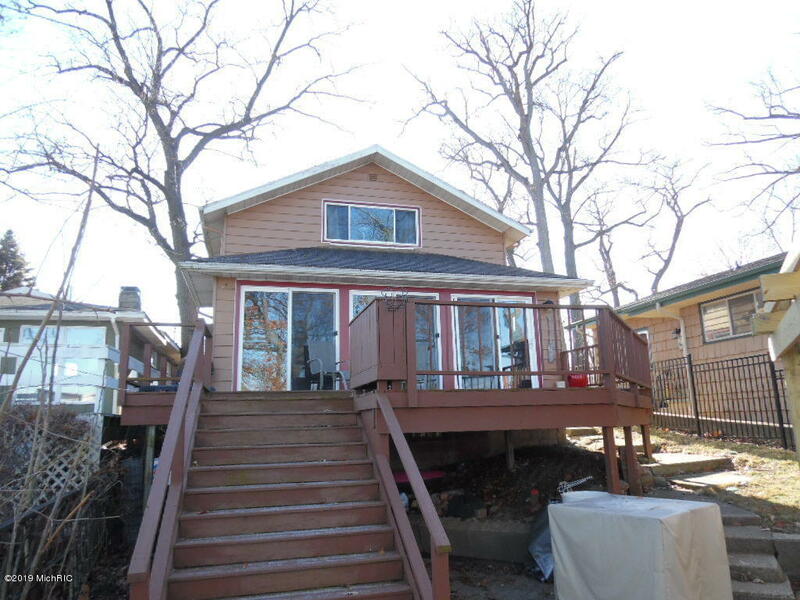 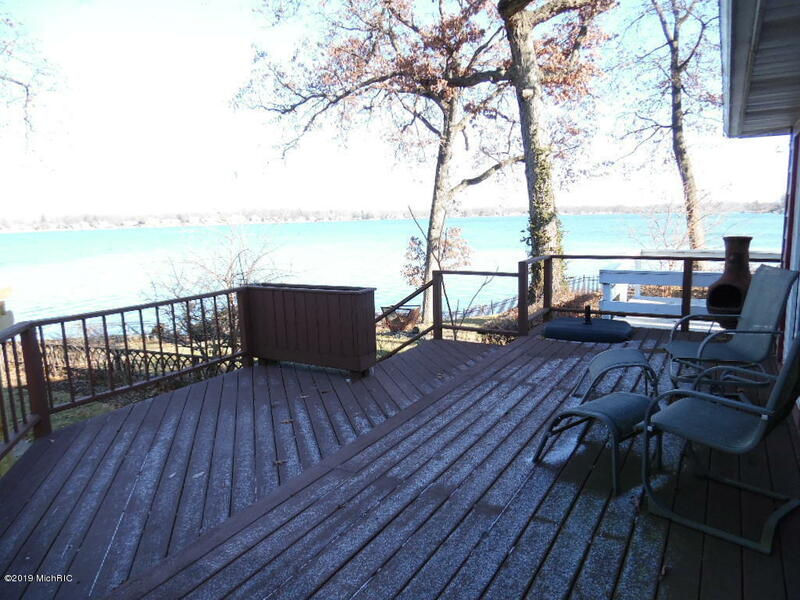 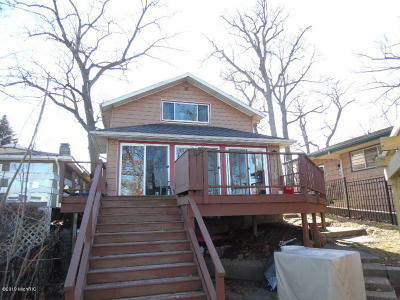 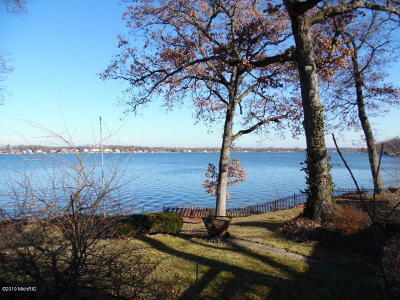 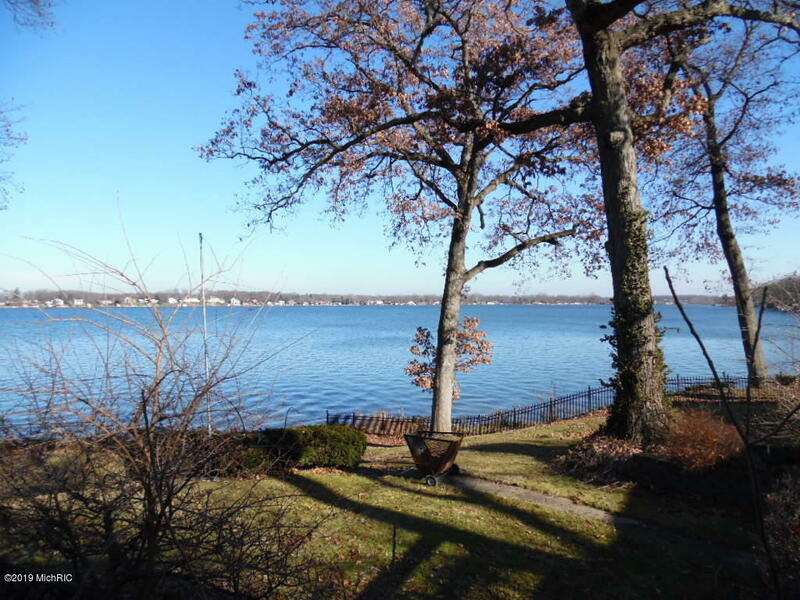 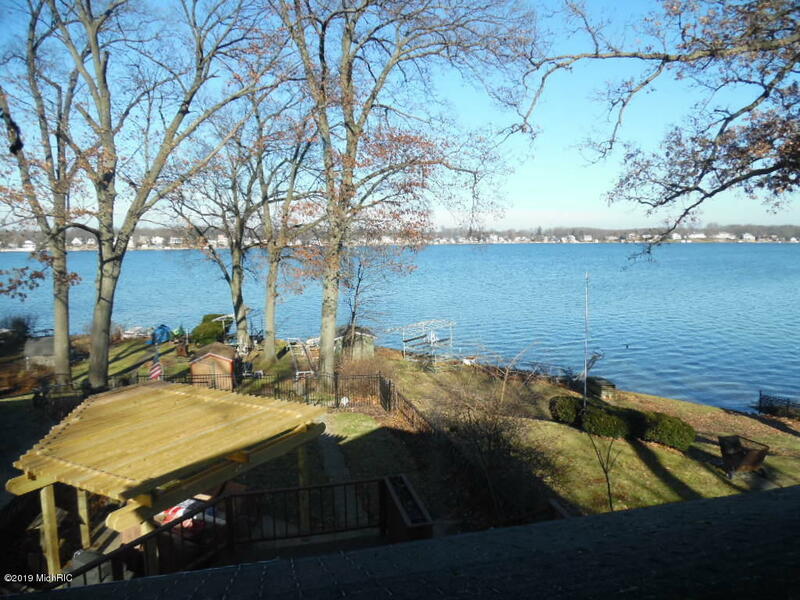 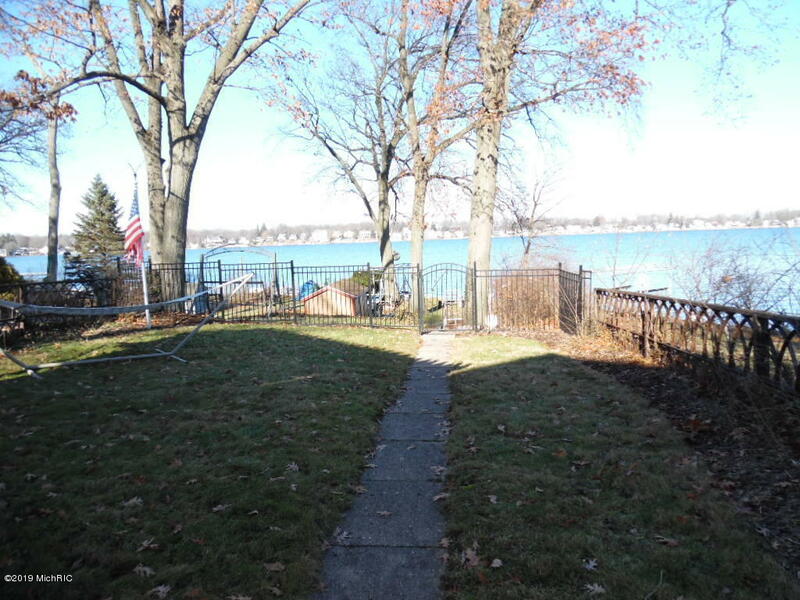 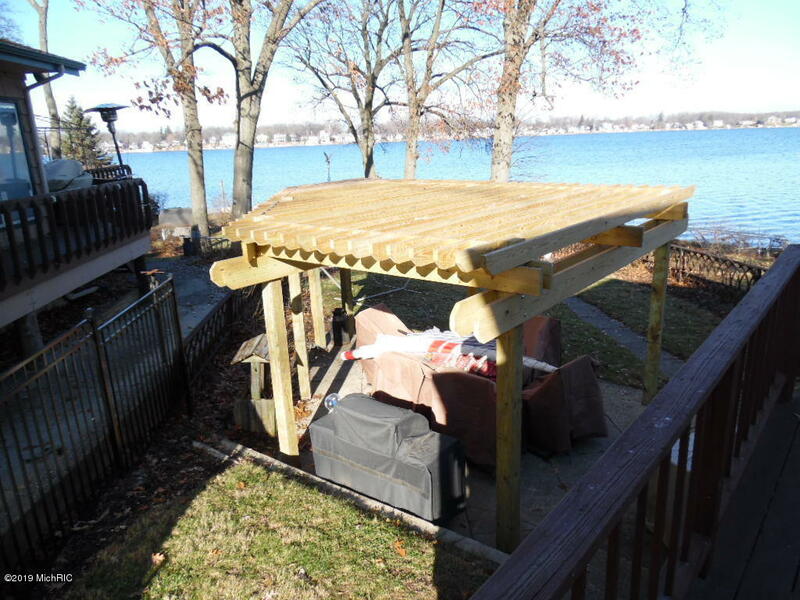 Lakeside deck, pergola, fully fenced in yard, shed near the water for storage and pier. 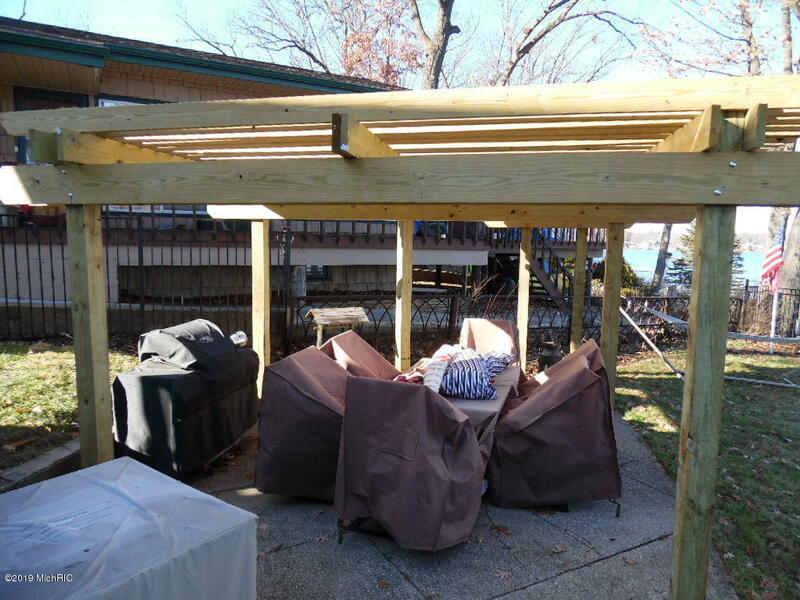 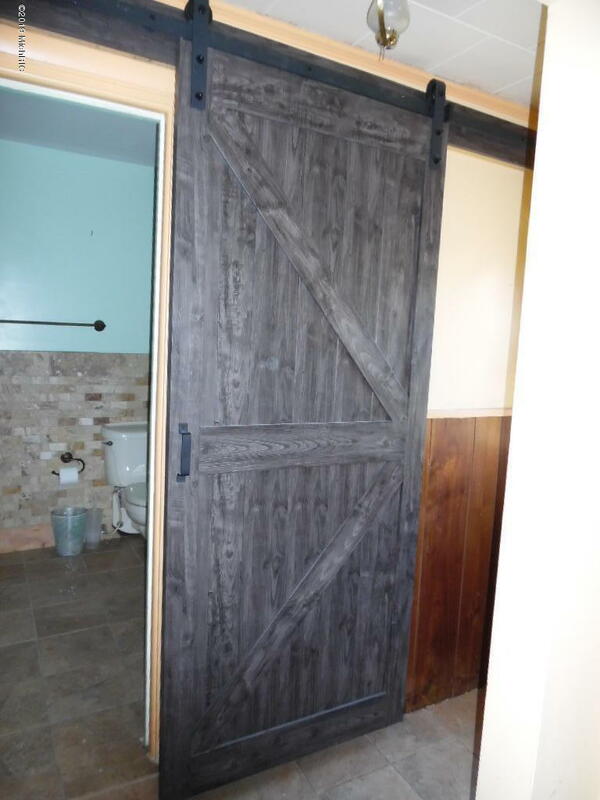 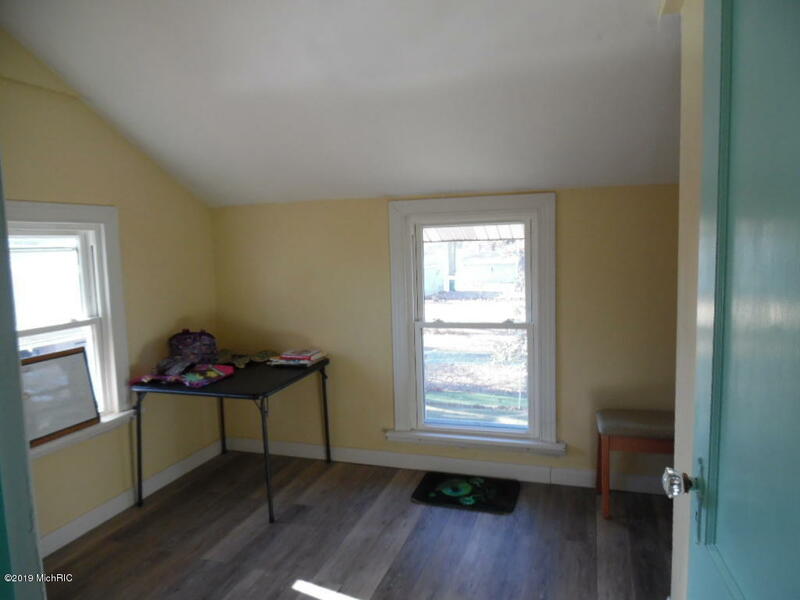 2 car garage has an 16x16 addition which would be perfect for an entertaining area or additional storage. 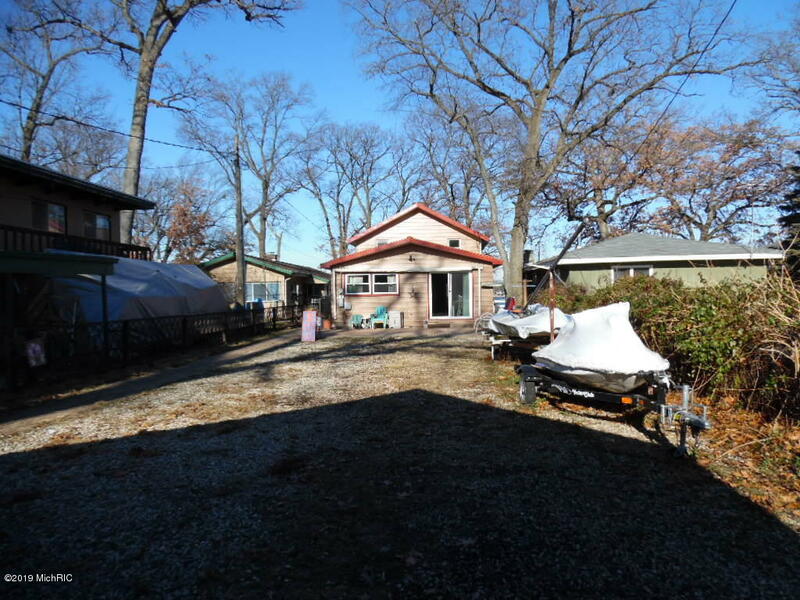 The 375 foot depth to this lot gives you ample space to add on to this home.